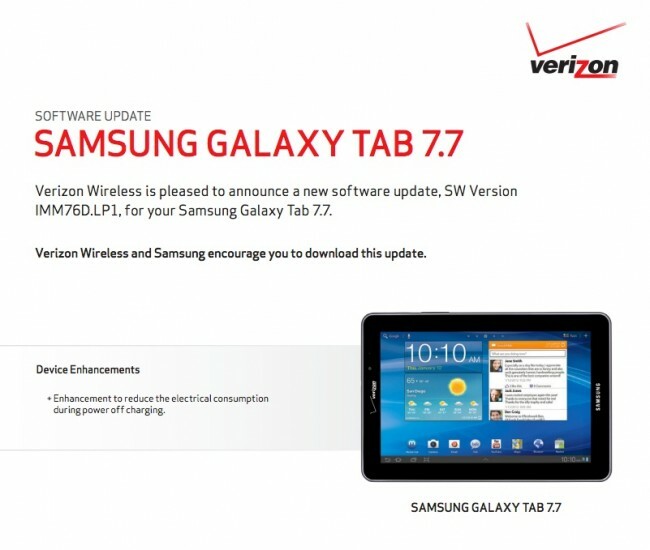 A new update is headed to owners of the Samsung Galaxy Tab 7.7 on Verizon. It’s incredibly minor in size and also in features. In fact, the only thing it brings is an enhancement to reduce the electrical consumption during power off charging. When these support docs go live, we typically see the update arrive within a week or so. The update is 12.2MB in size. More info.